Mental health deserves the same level of care and recognition as physical health, and progressive companies are beginning to make changes in order to address this for their employees. Hello, and Happy New Year! We’re just two weeks into 2018, and I’m proud to say that already the Moment Health team has been extra busy preparing for the year ahead as we keep our eyes on the prize and work passionately towards our goal of making maternal mental health mainstream, and helping all women feel supported in their journey. We have lots of exciting things planned already, but today I wanted to share with you something I’m particularly proud of: our Women In The Workplace series of articles, which we will be sharing with you all over the next few weeks. 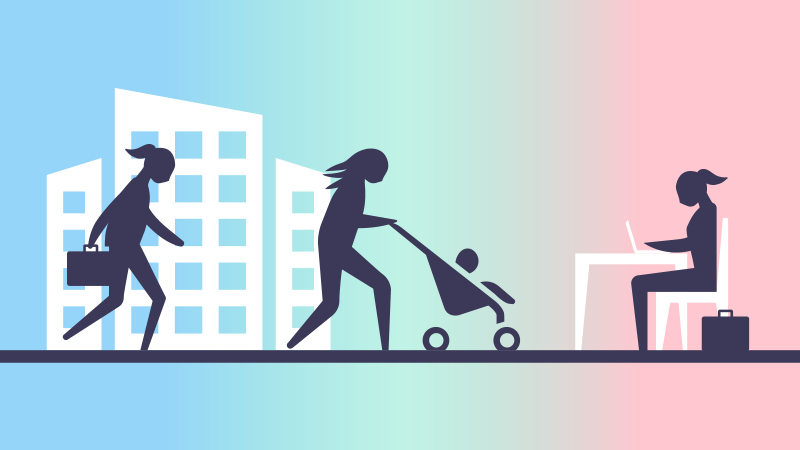 In September and October last year, we ran a survey that centred on women at work and how we are supported during the milestone times in our lives of pregnancy, maternity leave and returning to work after having a baby. We had an incredible response, and the results from our research have helped to highlight exactly where more support is required, and brought improved clarity to the kinds of systems and services that once implemented could allow women to temporarily step away from the workplace and enjoy time spent with their family with greater ease and care, and then confidently return to their career. In particular – and even though this is 2018 – there exists an extra pressure for those who suffer mental health. For many, whether their experience is postnatal depression or another mental health condition, there remains a long-standing stigma around mental health and a fear of admitting to it at work. According to a recent report, as many as 15 per cent of employees face repercussions including dismissal, disciplinary action or demotion if they tell their employer about their mental health problem. On a global scale, the World Health Organisation (WHO) estimates that more than 300 million people suffer depression, which is often coupled with anxiety, at a cost to the global economy of US$1 trillion a year in ‘lost productivity’. Mental health deserves the same level of care and recognition as physical health, and progressive companies are beginning to make changes in order to address this for their employees. Though things are improving, albeit slowly, for those of us who are experiencing or have experienced a mental health condition, a lot more needs to be done in order to continue the conversation and #makeitmainstream. I wholeheartedly agree with Virgin Money CEO Jayne-Anne Gadhia, who shared her own personal experience of postnatal depression during a Heads Together event in Newcastle last year, when she spoke of our collective need to bring the conversation around mental health into the open. For all these reasons and more, we look forward to sharing our research findings with you over the coming weeks. As a small insight, when it comes to helping mothers returning to work after having a baby, and in particular supporting those suffering postnatal depression, our survey found that 86 per cent of mothers who had returned to work said they would make use of flexible working arrangements if it was made available to them, while more than half (52 per cent) would use an emotional wellbeing app. Our aim is to help open up the conversation, improve support services for women, and continue our work in making maternal mental health mainstream. We’re excited to be on this journey with you. The Moment Health app has been developed with clinicians and healthcare professionals. It will screen for perinatal, postnatal and associated anxieties, and include additional features such as a helpful guide to practical and accessible coping strategies.